2010 is certainly the year 3D came of age in the home. From TVs to camcorders to 3D Blu-rays, 3D technology is here and it is here to stay. 3D in the home wouldn't be complete, however, without the ability to turn your own home movies and photos into 3D masterpieces. Lucky, Roxio Creator 2011 is on hand to help you do just that. In fact it is the first digital media suite that enables home users to convert 2D photos and videos into 3D. Roxio is helping create a new dimension to people's personal memories and the best bit about it is that no special hardware is needed – you can simply take existing material (or new) and quickly convert to 3D. So it is very simple and good fun too! To celebrate the launch of Roxio Creator 2011, TechRadar has teamed up with Roxio to give one lucky reader the chance to win a fantastic Panasonic Lumix TZ10 camera and a copy of Roxio Creator 2011. If you don't bag the first prize, then don't fear as we also have five copies of Roxio Creator 2011 to give away to five lucky runners-up. In all, the prize is worth around £550. 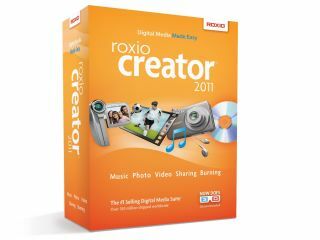 Each copy of Roxio Creator 2011 has a price of £49.99. For more information on Roxio Creator 2011, point your browser to www.roxio.co.uk. This competition is now closed. The winner is Mr S Jihnson. The runners up are Derek McDonald, Paul Debenham, Lee Hull, Giles Knibb and Diane Cooper.